A Connecticut budget proposal for 2017-2018 would rollback Medicaid eligibility from 155 percent of the Federal Poverty Level (FPL) to 138 percent FPL – the national Affordable Care Act minimum level. An overview of waivers made possible by Section 1115 of the Social Security Act and Section 1332 of the Affordable Care Act. This presentation explains spending and waiver authority and the legal considerations that may arise, the ways that states have used waiver authority, and reviews the limitations and new responsibilities that come with waivers. The steps to developing Complex Care Management Model Design for state Medicaid programs with a focus on one single point of entry. In this design, long term services and supports are provided in order for individuals to remain in the community. Integration of CHWs in health care teams is low across Ohio. There is a need for a more coordinated approach to improve the integration of CHWs in health care teams in Ohio. The report and recommendations are designed to guide state and local organizations in identifying and implementing strategies for advancing this workforce in Ohio. A chart pack produced by the Massachusetts Medicaid Policy Institute (MMPI), a program of the Blue Cross Blue Shield of Massachusetts Foundation, in partnership with the Center for Health Law and Economics at UMass Medical School. This updated edition includes MassHealth enrollment as of January 2016 and spending from state fiscal year 2015 and is made available in PDF and Power Point formats to facilitate its use in presentations. Regimens that contain sofosbuvir (SOF) or simeprevir (SIM) are highly effective for treating chronic hepatitis C virus (HCV) infection. These regimens, however, are expensive. Most payers have implemented prior authorization (PA) requirements to ensure that patients who can benefit most have priority for these medications. The Massachusetts High-Risk Pediatric Asthma Bundled Payment Model, created by UMass Medical School on behalf of MassHealth, is one of two innovative models featured in this webinar about how select states are using Medicaid to pay for supportive services within accountable care organizations, health homes, community health teams, and other value-based delivery system reforms. Over 100 million Americans have criminal records, and the U.S. incarcerates seven times more citizens than most developed countries. The burden of incarceration disproportionately affects people of color and ethnic minorities, and those living in poverty. While 95% of incarcerated people return to society, recidivism rates are high with nearly 75% arrested again within five years of release. Criminal records impede access to employment and other social services such as shelter and health care. This fact sheet presents a summary of the effects of Chapter 58 of the Acts of 2006, “An Act Providing Access To Affordable, Quality, Accountable Health Care, as reported in the many studies that have focused on Massachusetts’ reform. This high-level review summarizes the findings in various categories, including insurance coverage, access to care, health care utilization, and affordability for consumers. The authors also developed a full bibliography as a companion to the fact sheet. This report, prepared by a team led by Michael Chin and Deborah Gurewich of the University of Massachusetts Medical School, and Audrey Gasteier of the Commonwealth Health Insurance Connector Authority, summarizes the findings of a qualitative study in which 33 uninsured individuals were interviewed about their experience living without health insurance. The Changing Landscape of Healthcare Coverage Across Ohio: What does it mean for our health? The Ohio Medicaid Assessment Survey (OMAS) delivers health and healthcare data to public and private organizations, including insight into the health status of Ohio’s Medicaid and Medicaid-eligible populations. OMAS provides necessary data to measure the impact of health care reform over time, especially issues relevant to the efficient administration of the Ohio Medicaid program. Many of you are at the beginning of the journey to grow a successful and sustainable partnership between your public universities and your state's Medicaid-financed health and human service agencies. Perhaps there is a single faculty member who has been engaged around research or services that are of value to the state's program needs. Perhaps the state saw an expertise available through the university that was equal to or better than what it could find in the private sector. The Listening Project, a signature activity of AcademyHealth’s Translation and Dissemination Institute, seeks to identify the most pressing research needs of leaders in health policy and health care delivery for the coming three to five years. Its goal is to foster greater interaction among the producers, funders, and users of health services and policy research (HSR) and spur the production and use of timely, relevant evidence to improve health and health care. Presented for the AcademyHealth State-University Partnership Learning Network on January 29, 2015.  The Ohio State University-Ohio Colleges of Medicine Government Resource Center (GRC) and the University of Massachusetts Medical School's Commonwealth Medicine division (UMass) sent a survey to national stakeholders regarding the establishment and expansion of university partnerships with public agencies to achieve healthcare transformation. The survey results indicated interest in a variety of collaboration and information-sharing vehicles, including a national website, conferences, webinars, and other learning opportunities. State Medicaid programs and other state health agencies need to monitor and evaluate changes in health insurance coverage, access to care, financing, and the quality of health care delivery. The availability of new financial resources through the Patient Protection and Affordable Care Act is accompanied by raised expectations for such accountability. State Medicaid programs are playing an increasingly important role in the U.S. health care system and represent a major expenditure as well as a major source of revenue for state budgets. The size and complexity of these programs will only increase with the implementation of the Patient Protection and Affordable Care Act. Yet, many state Medicaid programs lack the resources and breadth of expertise to maximize the value of their programs not only for their beneficiaries but also for all those served by the health care system. Many of the functions that academic medical centers (AMCs) already perform, and new functions that they can perform for Ohio Medicaid can qualify for federal financial participation (FFP). On a practical level, by entering into this partnership the state and the state’s AMCs will be able to leverage new resources through the federal government to grow this enterprise at a time when state resources are needed for other priorities.